Winter is here! While I know that not everyone will experience the same winter weather, it is always fun to bring a little seasonal fun into our learning! 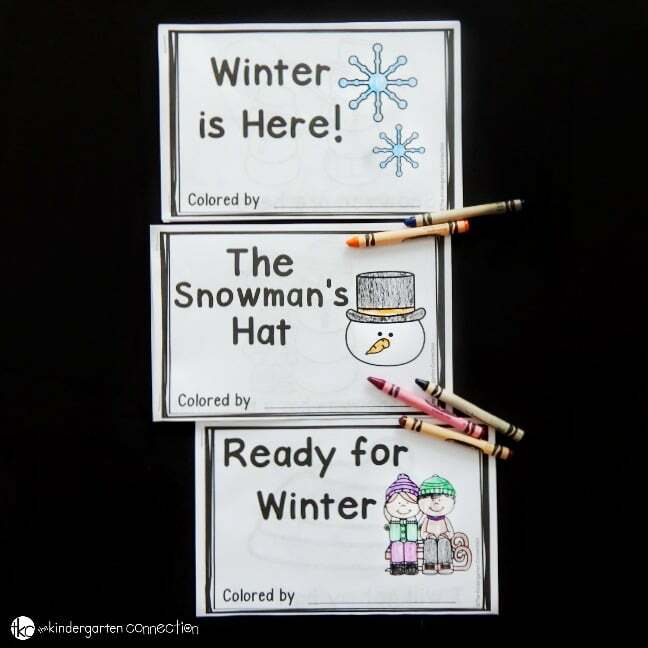 After reading some of our favorite snowman read alouds, this free winter emergent reader is great for building up reading skills in early readers. 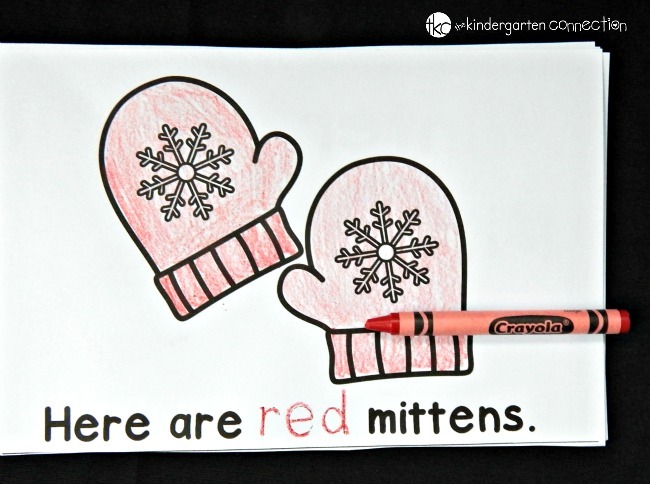 With its mitten theme, it is a perfect fit for these months! 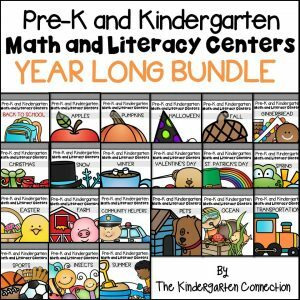 *Pair this with our Winter Centers & Activities for Pre-K/Kinder! 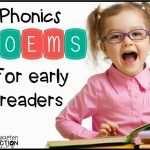 This little reader is super quick to get ready for your children or students. Simply print the download (below) double sided, cut in half, and staple. This gives you two copies instantly! This is great for the classroom because it saves on paper, and great for at home because then you get a copy to read along with your child! Like each of our winter emergent readers, this book focuses on specific skills and patterns to make early readers feel successful. This reader focuses on the sight words here and are, as well as color words red, blue, yellow, green, purple, and black. I have the books prepared for my students, and then they each get one to complete. 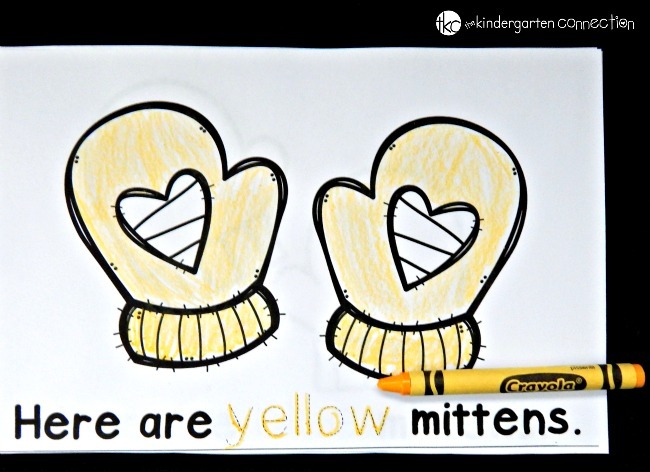 We talk about the focus sight words and, in this case, go over the color words. 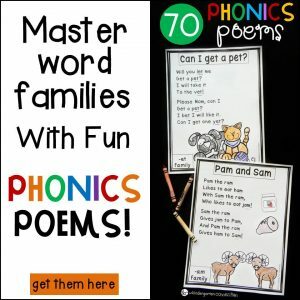 This reader allows them to trace over the color word, which helps them remember it even more as they read it, write it, and color the picture to match. They love to color the books and then read them with a partner! I also always send them home so that they have a book they can read independently, which makes them so proud! Ready to read? Grab your copy of the winter emergent reader by clicking the yellow button below. 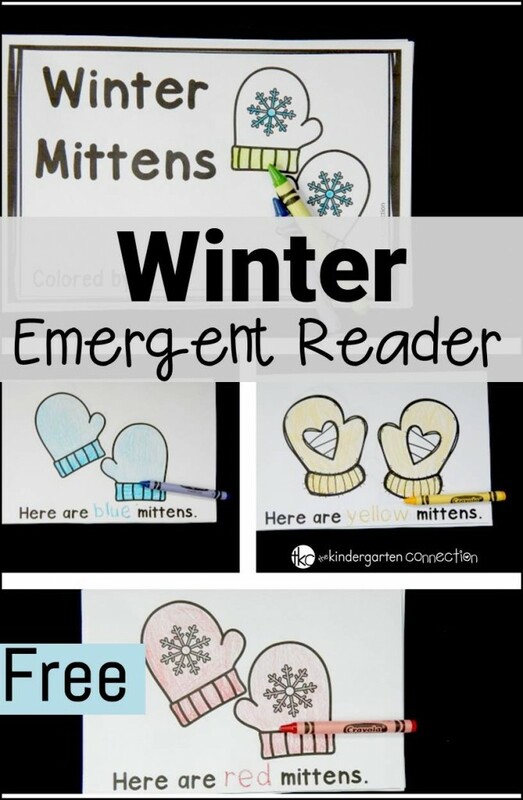 Then, for more printable books to help your kids develop their fluency this season, grab our winter emergent reader pack! 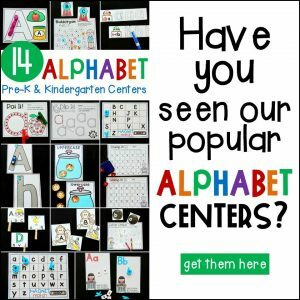 Looking for more resources for teaching young ones to read? 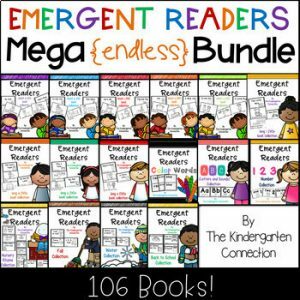 We have a HUGE collection of over 100 books (and growing) in our Emergent Reader Mega Bundle. AND GROWING! The price increases as more books are added, but if you already own it then the updates are free! 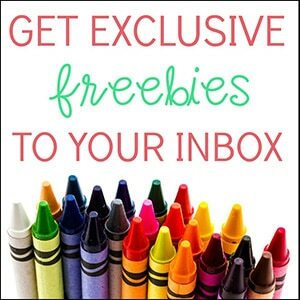 Click the photo below to see a complete preview, as well as links to the individual sets if the whole bundle isn’t what you need. This is so interesting & fun. Downloaded. 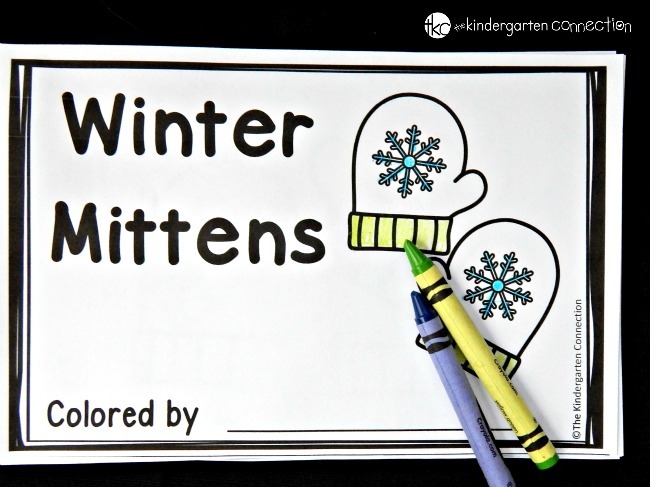 Thanks for sharing the Winter Mittens Emergent Reader!! my grade ones will love it! !